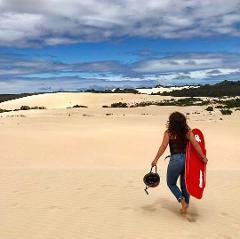 Hire a red Sandgroper toboggan from Kangaroo Island Outdoor Action and experience the thrills and spills of tobogganing the massive dunes of Little Sahara!! 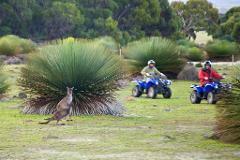 All the features of the All Terrain Quad Adventure, PLUS we Guarantee you'll see Kangaroos, often as close as 10m as they venture out at dusk to feed. 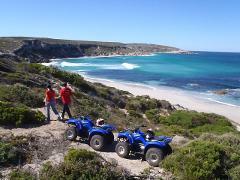 This is an action packed tour that can be customised to anyones interests or abilities. 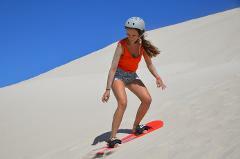 Combine the All Terrain Quad Adventure with Sandboarding and SAVE $101! 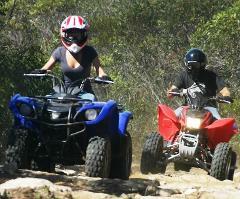 The ideal tour for those who want to experience more terrain and more action! You Deserve The Absolute Best Adventure! On our premium tour, you will be one of just a handful of adventurers each year that get to discover one of Australia's Top 100 Surf Beaches located on the Edge of the Earth. 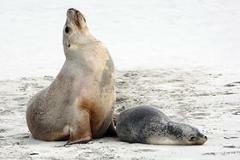 Private Tours Available. 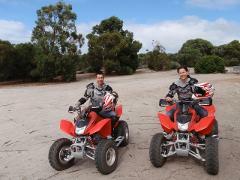 Don't want to ride your own quad? 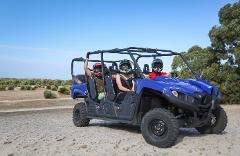 Experience all the action of the Extreme Quad Adventure as a passenger with the guide in our multiseat buggy. Don't want to ride your own quad? 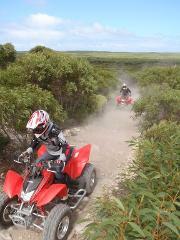 Experience all the action of the Daytime Nature Tour as a passenger with the guide in our multiseat buggy. 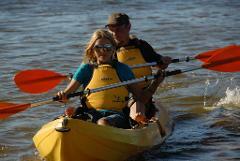 You And Your Family Deserve The Absolute Best Adventure! You will be two of just a handful of adventurers each year that get to discover one of Australia's Top 100 Surf Beaches located on the Edge of the Earth.